It was a cold, grey winter day when I came across a video on this folding chaise lounge. I don't know what overcame me, but I had to have it for our next beach vacation. If you are looking for the ultimate in relaxation - this is it. It is called the LoungePac. 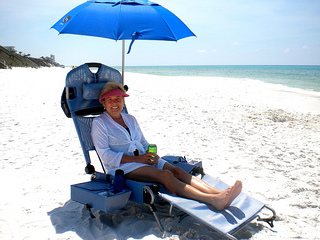 Coolers, iPod speakers, umbrella, foot rest - all are conveniently built into to the chair. Did I mention the adjustable headrest? Just relax and listen to your favorite playlist. I told my husband I bought it for him, so it wasn't easy getting him out of it. The umbrella is adjustable and can be moved so that no matter where the sun is you can be protected from UV light. To protect your umbrella from being damaged by the wind, it features fiberglass ribs and a vented top. The chair is adjustable to many different positions, including completely flat. Speakers for your iPod are located in the two back pockets. 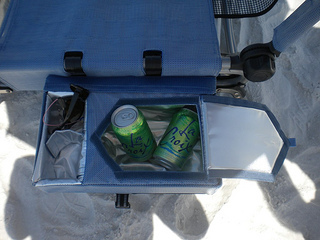 A cooler and pockets are on BOTH sides of the lounge chair. There's enough room to pack 6 cans of soda or 2 bottles of wine. 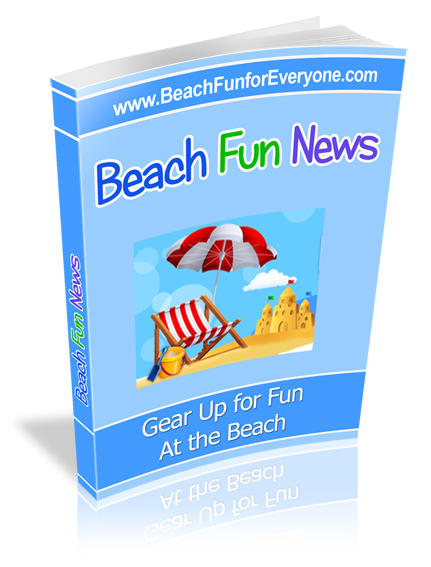 The telescoping handle pulls right up and along with the ball bearing wheels, it makes it easy to pull even on the sand. Lightweight, easy to fold and a side table make this lounge chair a beach favorite. Made of durable mesh fabric it offers 5 reclining positions and 3 foot rest positions to get you relaxing in what's most comfortable for you. You can lie on your back or stomach or convert it to a folding beach chair. It weighs about 10 lbs and can hold up to 275 lbs. 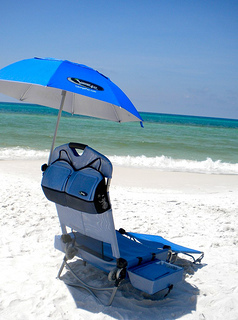 This lightweight yet sturdy beach lounger can easily make its way to your favorite beach. Get comfortable using one of the 5 reclining positions and included headrest. Stay cool with it's breathable mesh fabric that lets air circulate and also dries quickly. 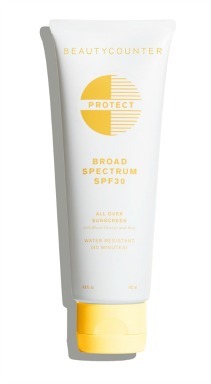 An easy set up that includes a shaded canopy that can be adjusted so your face is protected from the sun. 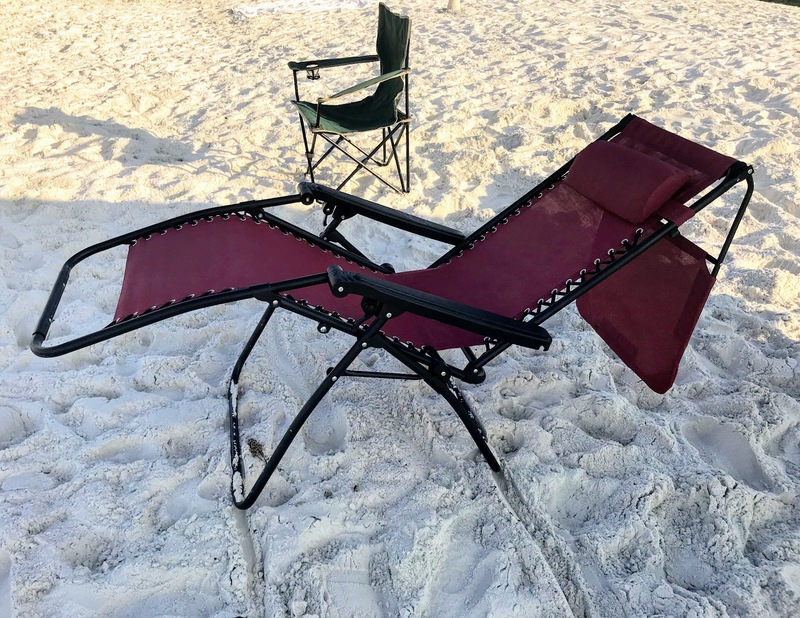 This 3 position folding chaise lounge has a headrest for relaxing on your back or a face hole for resting on your stomach - which makes it possible to read if you place your book in the sand. Comes with a carrying strap for walking to the beach. 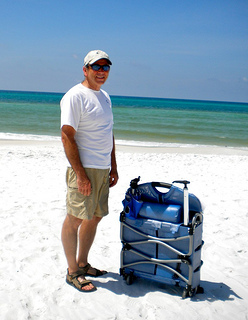 It is lightweight - around 6-7# but I suggest using a beach cart to carry all of your gear. Make sure you always fold the bottom legs out first, and then sit on it. A zero gravity chaise lounge is perhaps one of the most comfortable ways to relax at the beach. Head resting, feet up, nice breeze and warm air - what's not to like about it. Well - it may be getting it there. This one has almost all 5 star ratings at Amazon for comfort - but it weights 20 pounds. So carrying it far is not going to be fun - unless you have a strong, and willing - husband, friend etc who will carry it for you or a big beach utility cart. Some of the features that make this lounge otherwise perfect for the beach is the lumbar support, breathable mesh fabric and an adjustable head rest. 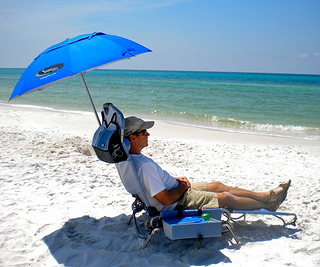 A less expensive beach chaise lounger is this one made by ErgoLounger. It sits higher off the ground - 18" making it easier for someone to get in and out. There are 5 adjustable positions - with the ability of lying completely flat. It is 77" long and can hold a person up to 300 lbs. The special headrest and opening gives the option of lying on one's stomach for a nap or place a book or magazine on the ground to read. Comfort comes in lots of different ways - this lounger actually is therapeutic thanks to the way it supports the head, neck and lower back. It helps to relax tight muscles, and according to Ergolounger, "passively stretches the vertebrae to relieve nerve and disk pressure."